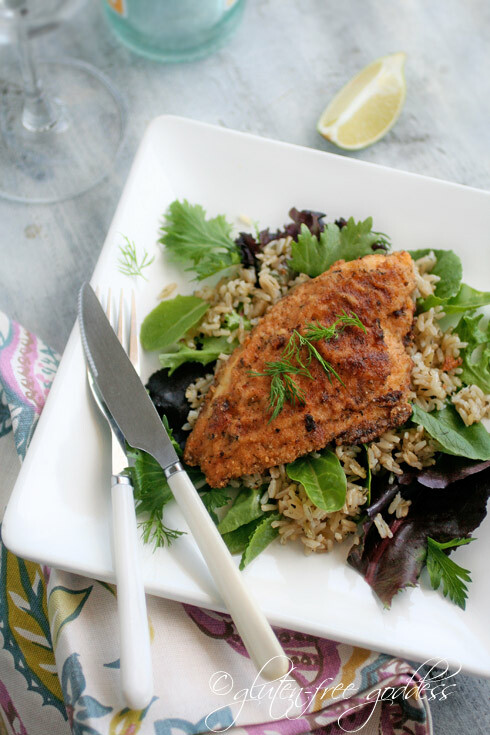 Golden pan fried catfish fillet with crisp baby greens and brown rice. One of the juicy, inspiring gifts of an empty nest is the big sky freedom to pull up roots and wander. And Darling, have we been wandering. We are gypsies. Moving six times since selling our family home back on Cape Cod five years ago, each time moving south, migrating west. Each time selling off more books, discarding the outworn. Until we reached the sea again. After years of oceanic dreaming I finally call the beach my home. I wake to the rhythmic crash of the waves. I open windows and fill the rooms with sea glass sunlight and salt air. My pillows and bedding smell like surf. I can breathe here. I can paint here. I can cup my hands and carve the space to imagine new things. Frosted carrot quinoa bars. Gluten-free. Dairy-free. My intrepid husband slash sous chef was craving a carrot cake style quinoa bar for a mid-morning snack. To be exact, he said, Hey. 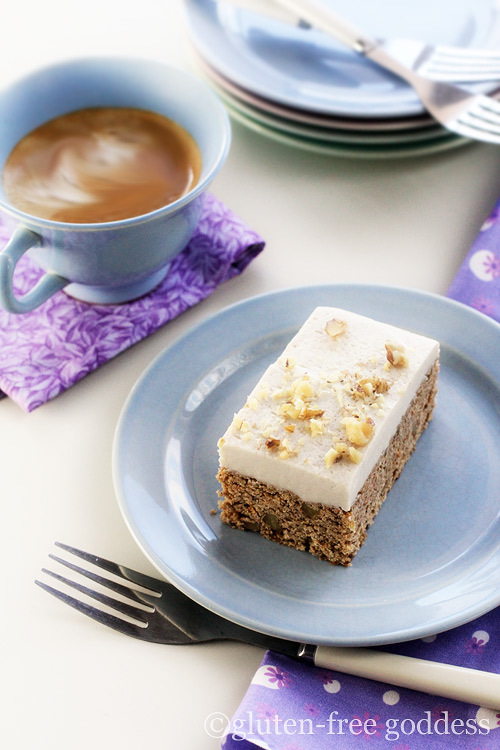 I'm craving a carrot cake style quinoa breakfast bar. You know. For breakfast. To which yours truly replied, Look who wants to get fancy. My chocolate chip quinoa breakfast bars aren't good enough for you? Now you need frosting? To which said long suffering husband replied, Frosting makes everything better. 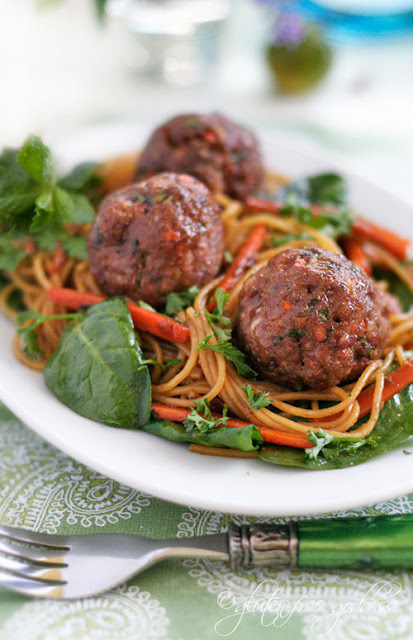 Light and tempting turkey meatballs with fresh herbs, ginger and lime. Okay, I confess. I admit it. When it comes to this recipe? I was totally inspired by Jamie Oliver and his Jamie's Food Revolution. I loved the flash mob stir-fry dance at Marshall University in episode four (view here at WabiSabi, one of the participants). The energy, spirit and creativity of the students, the killer combo of cooking and dance, with a generous dash of self expression and celebration got this creaky gluten-free goddess off the couch and movin', Baby. Not to mention, craving a pan-tossed noodle stir-fry. Good morning! 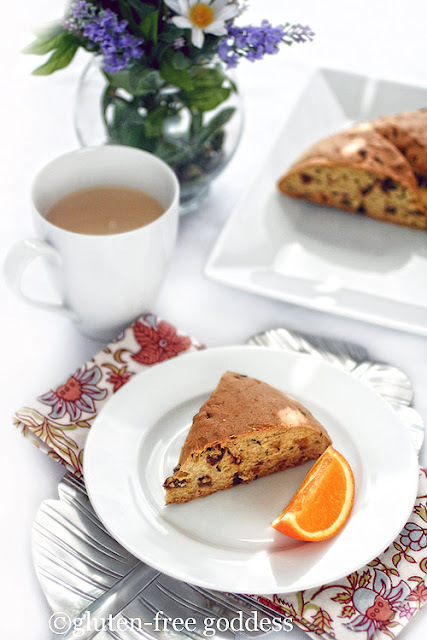 Gluten-free orange scented soda bread. Confession. I wasn't into Valentine's Day this year. Not that I have anything against love. Or chocolate. Or roses. That would make me a stone cold cynic. The prickly sort who kicks away puppies. Or grimaces at kittens and babies. I don't indulge in any such blasphemy. Though I may be, shall we say, a tad older than the estrogen-fueled audience targeted for Valentine's Day, I am not cantankerous. Yet. Or without sympathy. It's just that I find the accoutrements to our consumerist version of love rather ridiculous. All that red lace. Glitter lipstick. And goddess forbid. Thongs. I'd rather bake a soda bread. In my flannel PJ's. Last year we baked mac and cheese for our dinner 'o love. And settled in with a Mad Men DVD. This year it was a tofu stir-fry and a two-hour episode of Downton Abbey 2. I will miss that show madly when it ends- this Sunday! What will I do without Violet, Dowager Countess? Her wit and wisdom? Perhaps this orange soda bread will help keep my spirits from flagging.